FireFox 14 is a small, fast and very easy to use browser that offers many advantages over other web browsers, such as the ability to block pop-up windows and the tabbed browsing. FireFox 14 project (formerly Firebird, which was formerly Phoenix) is a redesign of Mozilla's browser component, written using the XUL user interface language and designed to be cross-platform. 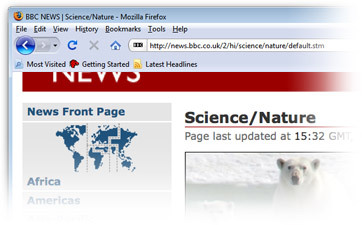 the new FireFox 14 is more Faster, Safer, Smarter, Better web browser. 3. Improved Performance - View Web pages faster, using less of your computer's memory. 4. Full Zoom - See any part of a Web page, up close and readable, in seconds. 5. Password Manager - Remember site passwords without ever seeing a pop-up. 6. Smart Location Bar - Find the sites you love in seconds enter a term for instant matches that make sense. 7. Platform-Native Look & Feel - Browse with a Firefox that's integrated into your computer's operating system. Displays logins and passwords for protected sites stored by Firefox. FireFox 3 For Mac OS X: The Most Powerful Mac Browser Yet! Backup your FireFox bookmarks and cookies to a ZIP file. FireFox Okapiland Plugin for Yahoo Search in Composite Page Mode (YahooCPM). Qweas is providing links to FireFox 14.0.1 as a courtesy, and makes no representations regarding FireFox or any other applications or any information related thereto. Any questions, complaints or claims regarding this application FireFox 14.0.1 must be directed to the appropriate software vendor. You may click the publisher link of FireFox on the top of this page to get more details about the vendor.